In 1930 Mr Sydney Ernest Davis and his wife bought Sandhills Farm. When they welcomed their new son, Bob in 1934, it became the family home. Here, they farmed, hatched and reared chicks up until the mid-60s. The child of Sydney and his wife Alice, Bob, at the age of 9, developed a fascination with earth moving machinery. This was after he saw the TD9 which belonged to local engineers. By the time Bob was 13 he was using the TD9 for ploughing. Onto the 1950s, Bob and his partner began to acquire earth moving machinery for themselves and into the 1960s, they saw their machinery being put to work on various local projects. Bob Davis’s crawlers and dumpers were a familiar sight during the making of the M5 and the M42 motorways. From then to today, S.E Davis & Son has developed and grown to the point where Bob and his son, Andy, lead the business. They now stock the widest range of landscaping materials in the Midlands. This is why it’s not hard to understand why they needed a managed fuel tracking system. Fueltek provided a fuel storage tank, fuel pumps, TankWatch, browser-based hosted management and reporting software, along with commissioning, training, delivery and offloading. What Products Did S.E Davis & Son Require? A triple compartment Diesel, Gas Oil and AdBlue storage tank provides a secure, safe and cost-effective way for S.E Davis & Son to store their fuel and AdBlue onsite. A secure fuel tank such as this one can be customised to each business requirement; in this case, they needed a tank to store 35,000 litres of Diesel , 15,000 litres of Gas Oil and 2,500 litres of AdBlue, a total capacity of 52,500 litres. All the tank sizes which Fueltek provide are manufactured to the highest of standards and are constructed of high grade, mild steel and are fully bunded. In this case, the steel thickness was 6mm. 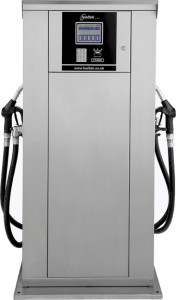 The FT400AP Twin dispenses and monitors Diesel and Gas oil and a single FT4000AB which dispenses and monitors AdBlue. Tank watch, a tank management system, monitors all three tanks. These products are parts of a sophisticated and integrated fuel management system. Alongside the fuel tank, fuel management system/ fuel pumps and Tankwatch, which work together. The TankWatch fuel tank monitoring system complements the FT400 range perfectly. 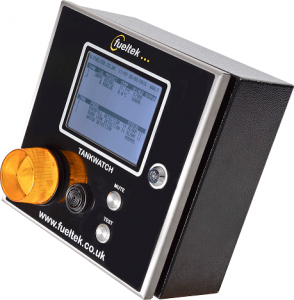 This premium tank management system helps to manage and provide accurate information of stock, tank capacity, stock movements, deliveries and throughputs and provides alerts for such things as overfill alarms, bund alarms and even water ingress. A fully synchronised system can’t be completely optimised without the software to go with it, which is why we also provided S.E Davis & Son with Fueltek FMO. The Fueltek team has designed and developed Fueltek FMO – fuel manager online. This is web-based software that reports on pump throughputs and tank movements or alarms. It makes the entire system streamlined and provides an efficient and effortless way to produce reports, create alerts, schedule events, meaning it’s much easier to resolve issues. Fueltek doesn’t just provide you with the equipment and software. 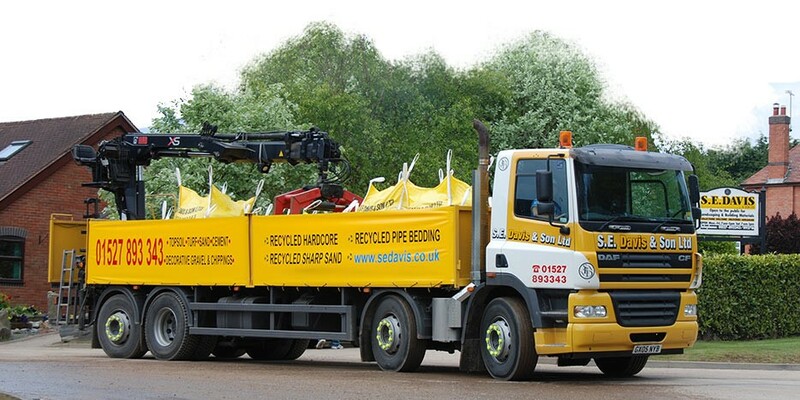 We deliver, offload and commission the entire project and then train the staff how to use the equipment efficiently – which is exactly what we did for S.E David & Son. When it comes to larger industrial operations it is important to concentrate on cost efficiencies to reduce expenses and save money. SE Davis & son with their years of growth have gone on to invest in new crushers, screeners, shovels, bulldozers, excavators and of course a larger fleet of delivery trucks. With so much equipment and transportation which relies on close tracking and management of fuel, Fueltek was committed to finding them a cost-saving and efficient solution. With such a strong line of family traditions and passion behind this company, Fueltek was honoured to work with S.E Davis & Son, and we look forward to their further success in the industry. If you require our expert fuel management solutions, simply get in touch with our team who will be happy to provide further information and discuss a bespoke solution for your business’s fleet’s needs.